Our holiday cottage is a luxurious newly built house, with swimming pool and wireless internet, in typical ‘roubenka’ style. 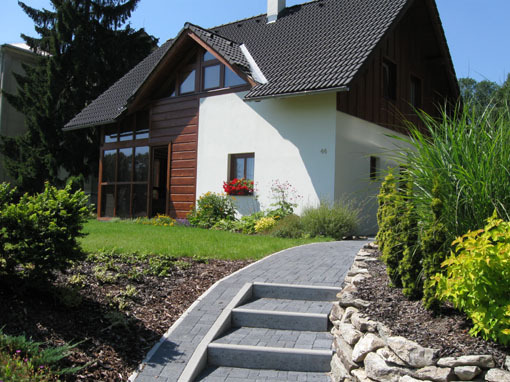 The house is located in the northern part of the Czech Republic. The house and the environment are ideal for recreation during the whole year. 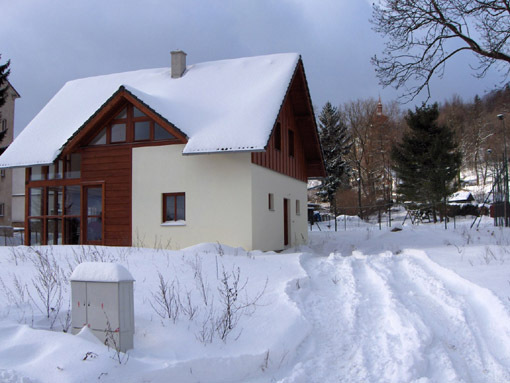 This modern, luxuriously furnished detached house is located in the town ‘Polevsko’, 3 kilometres (+/- 2 miles) north from Novy Bor and it stands on the foot of the Luzcke Mountains. From the house, one has a beautiful view on the valley and on the mountain ‘Kliç’. Only 400 metres from the house one will find two skiing areas and two tennis courts. The house is both in the winter and in the summer within easy reach. The house is suitable for 6 to 8 people.